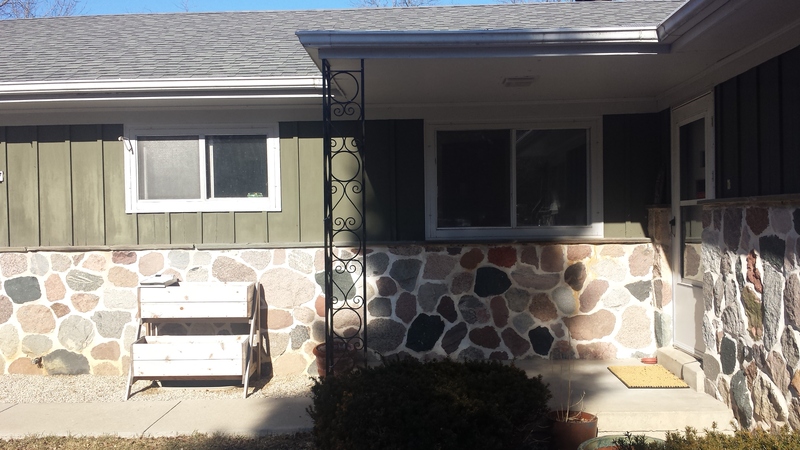 Sometimes, things about your house just don’t quite look right. 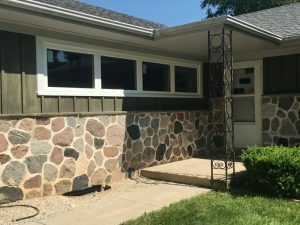 Maybe you have a hallway in a weird place, or a door that just doesn’t quite seem to be in the right place… or maybe you have two slider windows that are two different sizes. You’ve pondered over this for years, of course, always meaning to do something about it but given the fact that you don’t know a load bearing wall from sheetrock and don’t relish the idea of accidentally collapsing an entire section of the house – you (or more likely your wife) have decided to leave the alter opening to the experts. 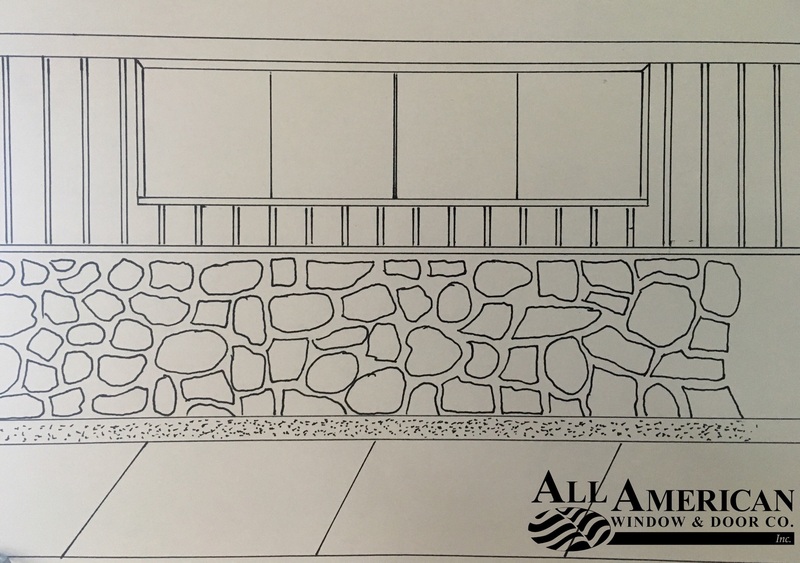 We call this style of window an alter opening. That means any modification or change in the original opening. Whether that means making the opening larger in height or width, it’s not something you’d likely want to risk doing on your own. A lot of care and precision needs to be exercised. You don’t want to hack away at one of those load bearing walls and wind up with a ceiling where your sink should be. We have over 30 years experience with this sort of thing. 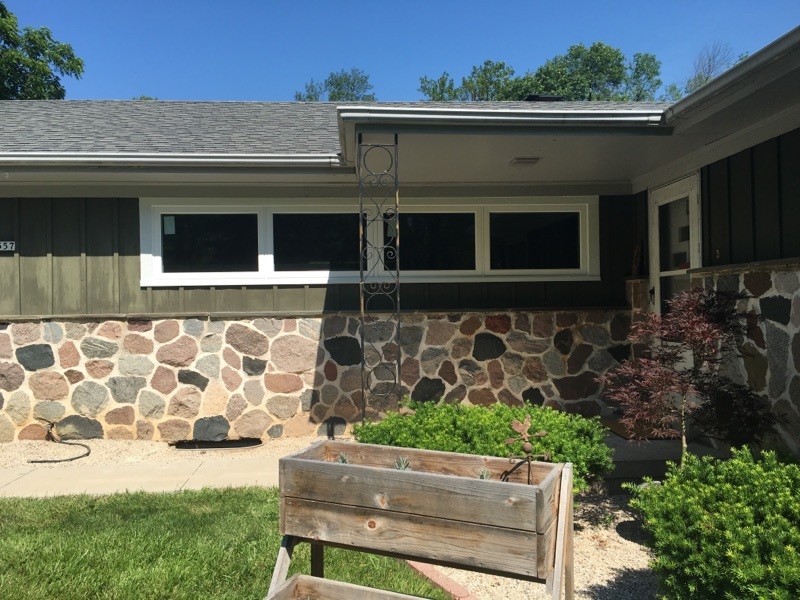 We recently did just such an alter opening in Mequon, Wisconsin – taking two separate window openings and turning it into one, beautifully symmetric quad awning. 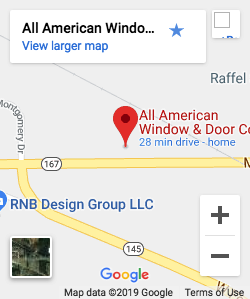 All American Window & Door Co. arrived at the jobsite and immediately got to work. 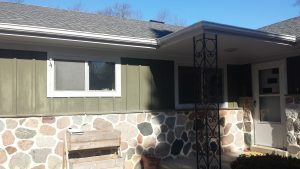 The crew took out the existing windows, framed up the one opening so they were the same height, removed (and later replaced) cedar board and batten siding, installed a 16′ microlam header, installed the quad awning and finished off the exterior. Looks fantastic doesn’t it? So please, put the sawzall down and call us to do that alter opening.